Evidence of various kinds indicates that Anglo-Saxon libraries were not large, at least in comparison with ninth-century Continental libraries, as we know these from surviving inventories, or with later medieval cathedral and monastic libraries in England, as we know these from the catalogues printed in CBMLC. . . . The typical Anglo-Saxon monastic library probably owned fewer than fifty volumes, all of which could be housed in a simple book-chest. Augustine, De civitate Dei [City of God], De trinitate, Enarrationes in Psalmos, Enchiridion, and the Epistulae and Sermones in selections. To these works of the four major patristic authors (at least as suggested by the Anglo-Saxon evidence), one may add several individual works: Cassian, Conlationes [Conferences] and Eusebius, Historia ecclesiastica, as translated by Rufinuis . . .
His discussion continues from here, but this is the section that particularly caught my eye. I find this list fascinating because, when I ponder what books and what ecclesiastical learning is most needful, this list isn’t too different from what I’d pick—certainly as the core of a patristics section. The one major change would be the Isidore block. Isidore was the major encyclopedist of the early medieval world and the items included here would be more properly replaced by modern rather than medieval reference works: Hatchett, the Anchor Bible Dictionary, etc. This entry was posted in Church History, Medieval Stuff, Monasticism on May 12, 2009 by Derek A. Olsen. Do you know Paul Griffiths’ book Religious Reading? It would be an interesting exercise to come up with a 25-50 volume list for a contemporary monastic community. I would want to add Cistercian classics (Bernard and William) and some Eastern fathers. I would want Cassian and some unmediated desert fathers. I would also want some Merton. I love the Classics of Western Spirituality, but not all the volumes would be of interest, especially if we had limited choices. I would want Julian, the Cloud, and Denys. I would have a different list for a Franciscan, Dominican, Jesuit, or Carmelite community. I would find it very hard, however, to do without Teresa, John, Francis, Clare, Ignatius, Bonaventure, or Thomas. But the exercise is valuable, I think, for forcing us to be selective. How much would be enough? I’d rather know 25 classics well than to have acquaintance with 1500. Griffiths’ distinction between religious reading and consumerist reading is helpful I think. I don’t know Griffith’s book. This list is the beginnings of a start. Of course, you are probably thinking of individual authors and primary material, but I think a helpful book is the anthology “Love’s Redeeming Work: the Anglican Quest for Holiness” edt. Williams, Rowell and (I think) Stevens. The intro is particulary good. I would also include the poetry of George Herbert, hymn texts of Charles Wesley and homilies of Austin Farrer. For commentaries I use the Anchor Bible and the New Interpreter’s Bible and the Ancient Christian Commentary (IV Press). But again, that’s a patristic anthology and you may be better off with whole texts by one author. A number of good people have cited Love’s Redeeming Work before. While I normally privilege primary works by one author, I think anthologies are important in order to get a sense of the breadth of stuff out there. 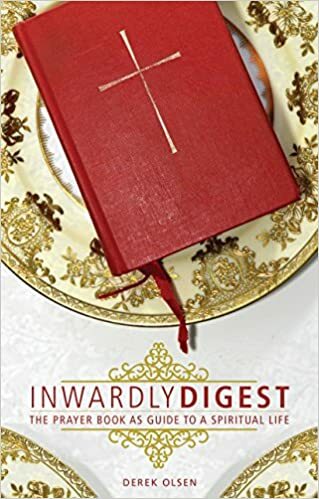 Thus, a judicious mix of key single-author works and anthologies/careful surveys might be just the ticket… For instance, Study of Liturgy is in general quite good although I might quibble with certain authors over certain details. The issue with anthologies and surveys is that there are always conscious, subconscious, and unconscious biases that drive both the selections and the frameworks within which the selections are set. The more explicit these biases the better, I believe, but not all anthologies/surveys try to present them. Could you put up a separate post perhaps: What should be on the shelf of and read by every priest (or some such?). We have riches galore from Patristics to the present. Derek, I wonder if it might be worthwhile to look at Fr. Martin Thornton’s English Spirituality: An Outline of Ascetical Theology According to the English Pastoral Tradition, which would provide an excellent outline for an Anglican priest’s reading list. My name is Bill Booth, an oblate of St Anselm’s Abbey in Washington, D.C. and author of a new book series on the modern (and ancient, i.e. the rule ch. 7) 12 steps. As the first version was first written by our founder St. Benedict, there is a good deal of data in our series on the monks who lived by these 12 steps of humility for the past 1500 years. We even go into detail on how the monks lived, ascetics and mystics form the desert fathers and on to Benedict, Bernard and todays modern version. We believe today’s version came from Benedict’s. I am seeking any possible information or commentary from your library on the steps of humility, from ancient to modern times that you might have. I can use the Internet or possibly come there to do research in person. But am at a loss as to where to start looking. The premise of the series is that the 12 steps are ancient and that those used by the 1000+ 12 step fellowships of today are very similar. One of our quotes proposes the question “have the monasteries metamorphosed into the rooms of recovery?” My audience is mainly those in AA, or the alcoholics seeking a “spiritual awakening” and I must say they are aggressively looking to an all new relationship with God. People have written in form a question form on our website asking how the monks, you, others, have over the centuries “ascended” the 12 step ladder!? As an example of these people “seeking” our website is now getting 4,000 visitors daily! Some 400 actually stay on for over 15 minutes looking at the differing prayer, art, 12 step history pages, et cetera every day. A year ago this was just 3 people a day! Your help in any direction to our quest for knowledge is greatly appreciated by all. Please advise, and if there is significant research to be done, in English, I could come for a short visit to read and make any relevant notes. PS here is the URL / address of one video on the Benedictine 12 steps of humility. It isn’t what you’d expect! http://youtu.be/EMbaHp7EDIQ it’s really something new age! Also attached is the artistic depiction in a modern way of St Benedict and our newest book which is on lectio…the same method used in AA literature!